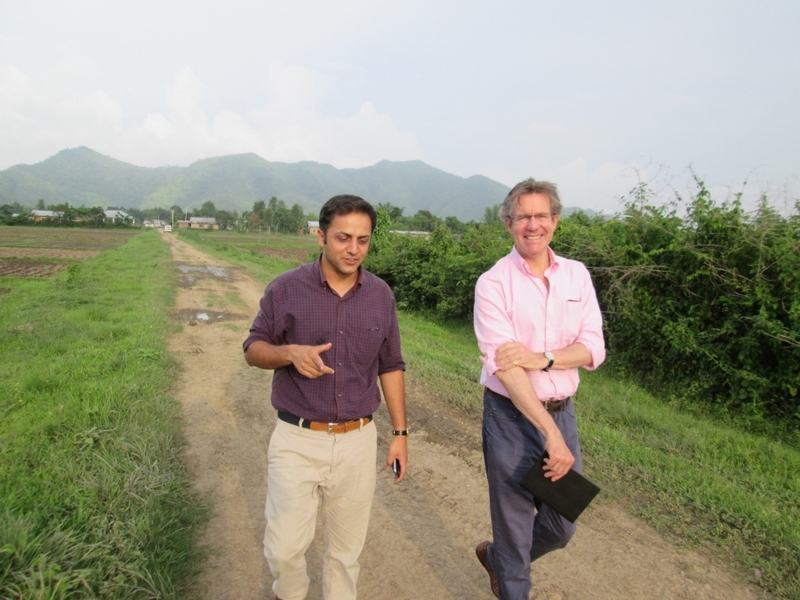 Dr. Hugo Slim, the grandson of Field Marshal 'Bill' Slim of the Fourteenth Army, on tour with Hemant Singh Katoch near Imphal (April 2014). We have a range of battlefield tours on the Burma Campaign on offer. These have been grouped below in two categories: those available in Burma/Myanmar and those on offer in India. You can take tours in either country or choose an itinerary that combines Second World War locations in both countries. Please contact us for further details. Burma/Myanmar was a major theatre of the Second World War. The Allies and the Japanese fought across the country in what is known as the Burma Campaign. The campaign has left behind a rich legacy and heritage of sites. To uncover this oft-forgotten chapter of history, we have developed several battlefield tours around Burma/Myanmar. >> The Burma Campaign Tours: A range of multi-day battlefield tour itineraries in Burma/Myanmar. The Battle of Imphal of 1944 makes for a truly gripping story. To tell it, we now offer a range of battlefield tours in and around Imphal and across Manipur in North East India that take in sites related to this famous battle. >> The Battle of Imphal Tour: A half-day tour in and around the city of Imphal. >> The Tiddim Road Tour - White Tigers, Black Cats and a Springing Tiger: A half- or full-day tour on the Tiddim Road. >> The Shenam Saddle Tour - On the Road to Burma/Myanmar: A full-day tour on the Tamu-Palel (Moreh) Road. >> The Battle of Sangshak Tour: A full-day tour on the Ukhrul Road to Sangshak (Shangshak) village. >> The INA Tour: A themed tour that takes in sites connected to the Indian National Army's (INA) involvement in the Battle of Imphal. During the 70th Anniversary, another theme-based tour - the Victoria Cross Tour - had also been on offer, as well as the Imphal Walk, a (non-WWII) walking tour around Imphal. Two Battle of Imphal-themed treks - the Point 5846 / Laimaton Trek and the Nungshigum / Hill 3833 Trek - were also available. Although part of the overall Japanese offensive aimed at Imphal, the simultaneous battle at Kohima in 1944 is a fascinating historical event in its own right. We now offer a tour that covers this battle as well, in conjunction with the tours around Imphal. >> The Battle of Kohima Tour: A two-day tour around the main battlefields of Kohima and an excursion to stunning Khonoma village. The towns of Dibrugarh and Ledo in Assam are intimately linked to the Second World War through the famous Ledo/Stilwell Road and the flights over the Himalayas (the "Hump") to China. We now offer a tour to this area, in conjunction with the tours around Imphal and Kohima. >> The Ledo Tour: A packed full-day tour to the main war-related sites near Dibrugarh, including Digboi, Ledo and Lekhapani.